Just a quick question (or 2) When you go snorkelling on the house reef do they have drinks on board and if so are they part of the all inc package. No they don't have drinks on board when you do the house reef snorkelling - the boat trip is really just a means to an end rather than a 'day out' type of trip as you cannot reach the house reef without it. I would advise you to just take some bottled water with you. I'm not sure about the regular dive boats although last year I did the Discover Scuba which included one reef dive off the boat and they didn't have drinks on board either. If you go on a whole day 2 dive trip the drinks at lunchtime and food are included in the price for the dive and boat charge. The rest of the time there is generally a cool box with drinks on board and you just pay for what you use. We just tend to take a couple of bottles of water with us as included in the AI package on the island. Hope you have a wonderful time-the dive school and instructors are great! When I did the trips on Kuredu, they did a nice cup of tea and banana cake. Sitting on the top deck. Simple but really nice. We didnt get drinks either once the dives were completed. However, they had some lovely coconut ready for us to take the taste of the salt water out of your mouth once free of the regulator etc. The crew look after you really well and the instructors are excellent (specially Mark and Flo) who take you under their wings and you stay there safe with them. We didnt do the house reef as there was so much to see in the lagoon. If you go to the right of the Jwv, there is a deep pool that drops to about 15 feet - maybe less. 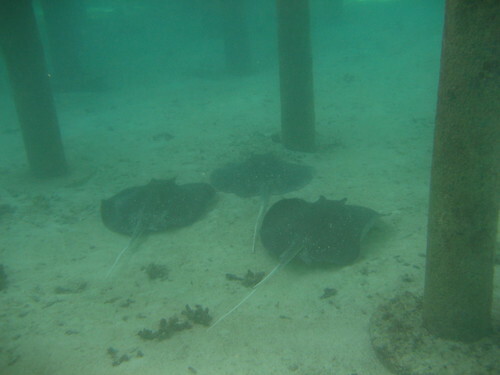 In the centre of the pool - there is a large rock (two - about 30 feet apart) and these are abundant with fish. Be careful of the lion fish as there are a few there and they are a no no. I dumped the mouth piece and went free diving down to these a few times before surfacing for air and taking the sights in. The shallower reefs are spectacular as well - the long wade out to the edge where the blue water comes in and creates waves is excellent - the water does go deep and then its swimmable to the reef edge. Loads of fish. 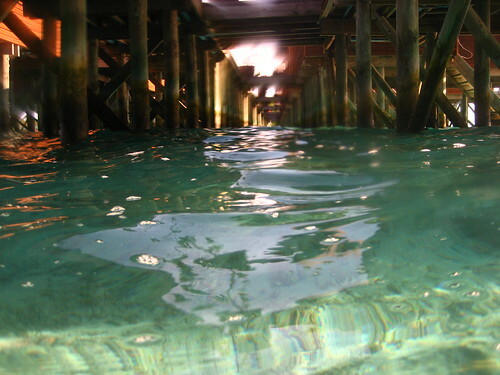 snorkeling under the 700's is fab! A bit eerie sometimes but an absolute MUST!